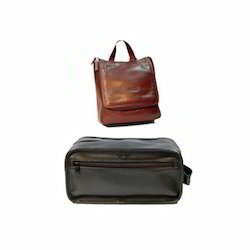 As a quality focused firm, we are engaged in offering a high quality range of Toiletries Organizer Bag. Supported by trained personnel, we are readily instrumental in presenting a comprehensive spectrum of Stylish Shaving Kit Bag. - Made from Printed Non-Woven Fabric. Keeping the track of latest happening in this domain, we manufacture and supply the superior quality of Shaving Pouches. Designed in accordance to the prevailing market trends, the saving pouches are known for their eye-catching design. Our customers can avail the saving pouches in various sizes, colors and designs. Your family toiletry companion, a must to make your trip hassle free. 1. Foldable, space-saving and easy to carry, and easy to clean.